This medium official State Tree for Florida and South Carolina is the Cabbage Palm Tree (Sabal Palmetto) and for good reasons. The settlers lived off the heart of the cabbage palm and even made it into a famous stew that can still be found in rural areas of Florida. The Cabbage palm gave settlers and visitors and instant nutrition source during times of need or travel. It is one of many of the cold hardy palm trees belonging to the genus Sabal. Some include: Sabal bermudana, Sabal causiarum, Sabal etonia, Sabal mexicana, Sabal minor, Sabal miamiensis and Sabal Palmetto. The cold hardy Cabbage Palm tree is widely used for landscaping all through out Florida and other southern states, including; Georgia, South Carolina, North Carolina, Texas, Arizona, and California. The highly tolerant Cabbage Palm tree makes for a great palm, due to its durability and its drought tolerance. The Cabbage Palm has gain popularity because it is very durable and will tolerate a wide variety of soil and weather conditions. Whether it be standing water, high winds, salt water, or salt water winds. 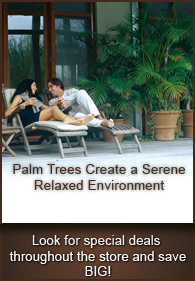 The Cabbage Palm will thrive in any condition. 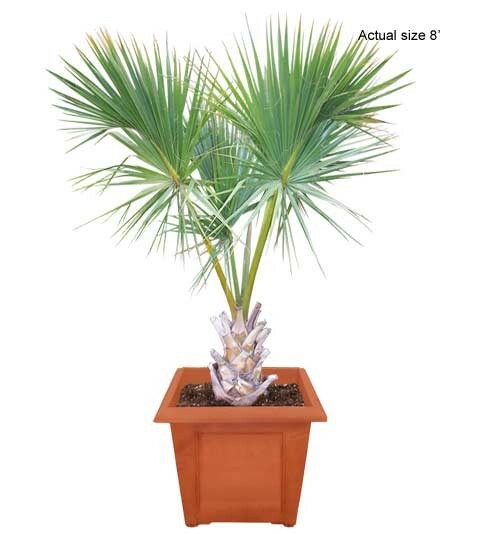 This palm tree will not only enhance the look of any commercial or residential area, but will also create a tropical feel to any environment. The beautiful round shaped crown of the Cabbage Palm will stand out and will serve for multiple uses for outdoor applications. The Cabbage Palms is very much maintenance free.